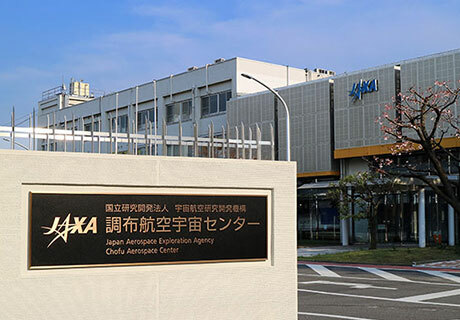 The Chofu Aerospace Center serves as JAXA's major research and development base. 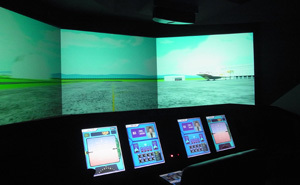 In particular, research into aviation is the main feature that characterizes the center. As a focal point of aeronautical research and development in Japan, the center plays an important role in supporting and leading the growth of the Japanese aviation industry. 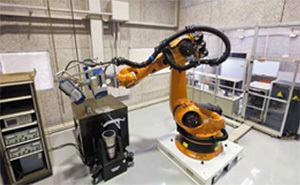 The center's research and development activities also include cultivating scientific and technological foundations that underpin the advancement of aerospace technologies in general. This includes pioneering studies on space technologies. 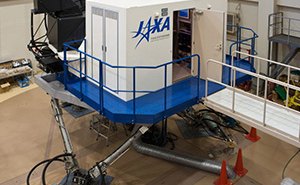 To support diverse activities in the space and sky from behind the scenes, the Chofu Aerospace Center is equipped with large-scale and specialized test facilities, such as wind tunnels, aeroengine test facilities, research aircraft, and a supercomputer. The center is making continuous efforts in satisfying evolving demands from users, through maintaining and improving these facilities, as well as through developing testing and analysis capabilities. A part of JAXA's HQ's operations is managed in the Tokyo Office. 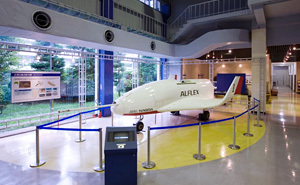 fixed-wing aircraft cockpit system "FSCAT-A"
The Chofu Aerospace Center has an exhibition area where visitors can learn about aerospace-research activities in general. 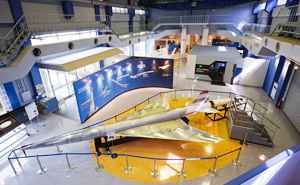 Visitors can experience the whole world of aerospace technology, including wind tunnels and experimental aircraft. For a tour of the rest of our facilities, please contact our staff in advance. Please note, however, that, due to the testing schedule, tours of the facilities are not always available. Please be aware that the space mission simulator and YS-11 cockpit are not available for visitors between 12:00 p.m. to 1:00 p.m.
Free parking lot for a few cars. No pets are allowed to enter the facility. 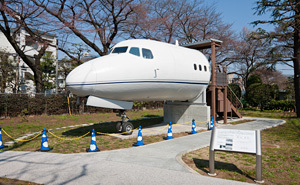 At the Chofu Aerospace Center we introduce the research content of each field including aviation and space technologies, and exhibit actually used vehicles, models, and explanatory panels. This airplane is used for experiments as part of research and development for next-generation supersonic airplane technology to measure data such as aerodynamic performance and surface pressure through its flight and gliding at a speed of Mach 2. Instead of the current disposable launch vehicles, we promote research and development of reusable vehicles similar to airplanes including space planes and reusable space transportation vehicles. We exhibit models and actual vehicles used for experiments. You can experience flight and piloting of a shuttle to space such as traveling to the International Space Station through horizontal flight in a space plane. 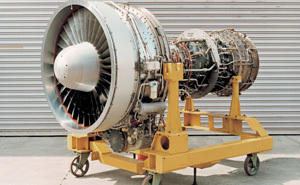 Japan's first engine that satisfied airworthiness standards. It was installed in the Short Takeoff and Landing (STOL) experiment aircraft "Asuka." 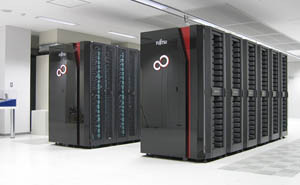 In addition to the above, you can also enjoy a facility to experience the computational fluid dynamics simulation. 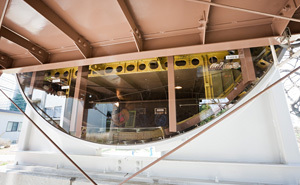 JAXA is using a cockpit of a retired YS-11 (Fuselage number YS-11-118) for our current research. Since 1961, JAXA (former National Aerospace Laboratory) began a full-scale aircraft static strength test to carry out a fatigue test on the main wings and a repeated pressurization loading test of a fuselage, thus we have contributed to the development of the YS-11. The results of various verification tests have been useful for verifying YS-11's fatigue strength, and the airplane is still flying safely for over 50 years. 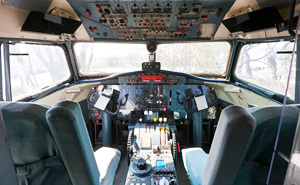 *Those who would like to take a look at the YS-11 cockpit, please call up the exhibition hall staff using the extension phone. The CAC accepts group facility tours. 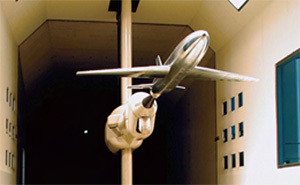 You can visit test facilities for a wind tunnel test, experimental aircraft, and an engine, as well as the exhibition hall. The tour takes about 1.5 to 2 hours. 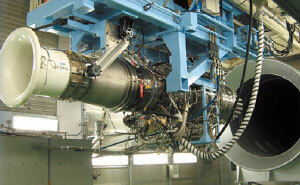 Major sites for a tour are test facilities for a wind tunnel test, experimental aircraft, and an engine. Please make a group tour reservation at least three weeks prior to the date you wish to visit us. Please understand that we may not be able to offer a tour on your requested date due to a test schedule or other schedule conflicts.